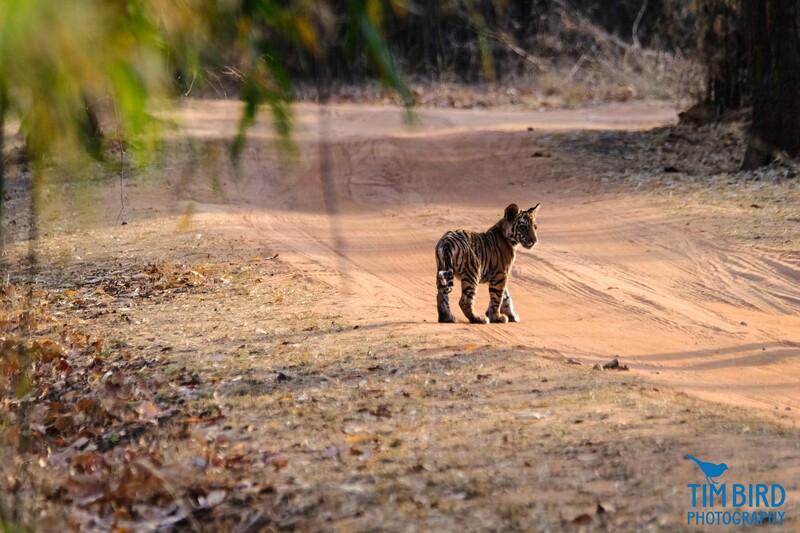 I’ve just returned from India where I visited the Bandhavgarh National Park Tiger Reserve, as a guest of the delightful Junglemantra resort, right on the edge of the park’s buffer zone and close to the core area. 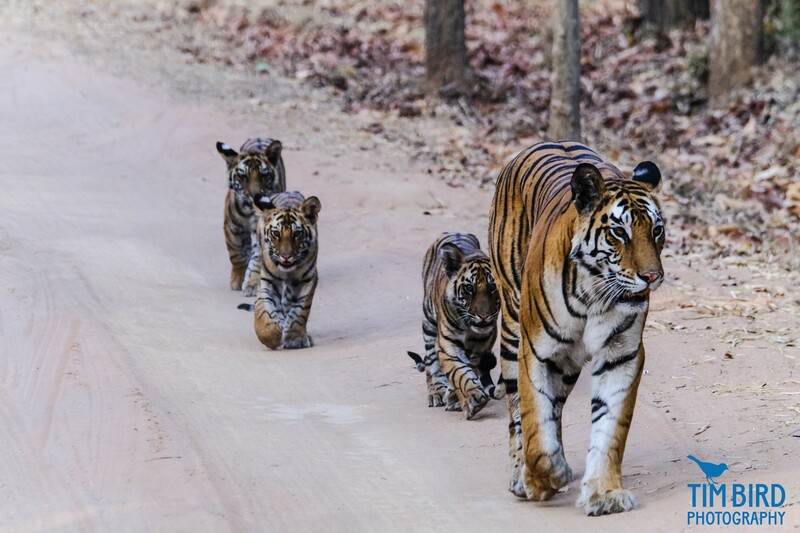 The park is home to a great deal of wildlife including what is probably India’s highest concentration of wild tigers. Hosts Sheilin and Rhea are effusively enthusiastic and very well-informed about the abundant wildlife – all sorts of birds, jackals, wild boar, leopards, spotted deer, sambar deer, monkeys, peacocks – on their doorstep. Sheilin is a keen wildlife photographer himself and was great company on the drives I took in the park. 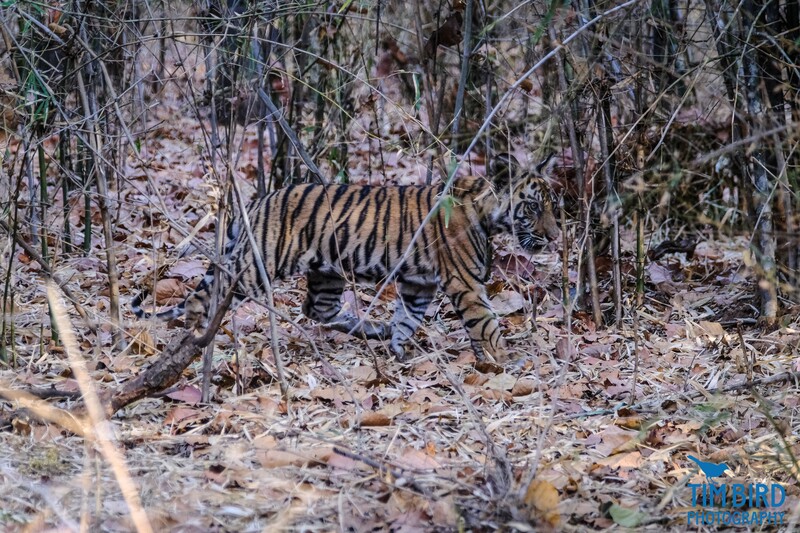 My first evening started with a frenetic but exciting search in the dark for a tiger that had been feeding on a ‘kill’ a few hundred metres from the resort entrance! 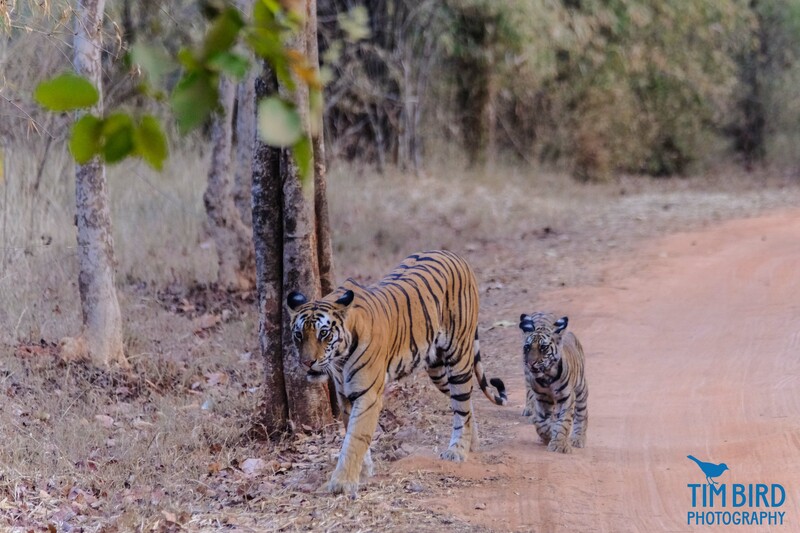 We didn’t find the tiger then, but I had some great sightings over the next few days of a mother and her three cubs. I was there during the pre-monsoon hot season, when the vegetation is dry and the animals make frequent visits to the watering holes in the park. 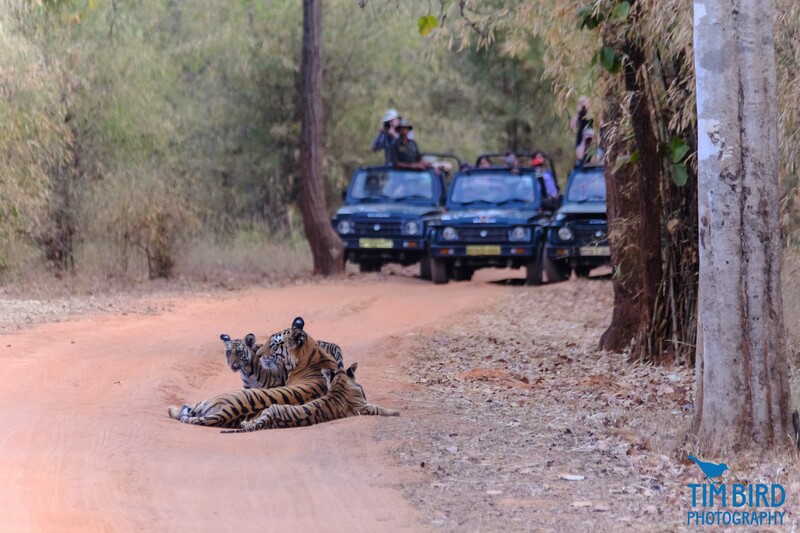 If you want to see tigers in India – and there are only a couple of thousand left – Bandhavgarh should be top of your list, and Junglemantra is hard to beat as a base – good food, comfortable bamboo huts, a nice lounge area, and expansive grounds that include a small lake frequented by lots of birds. 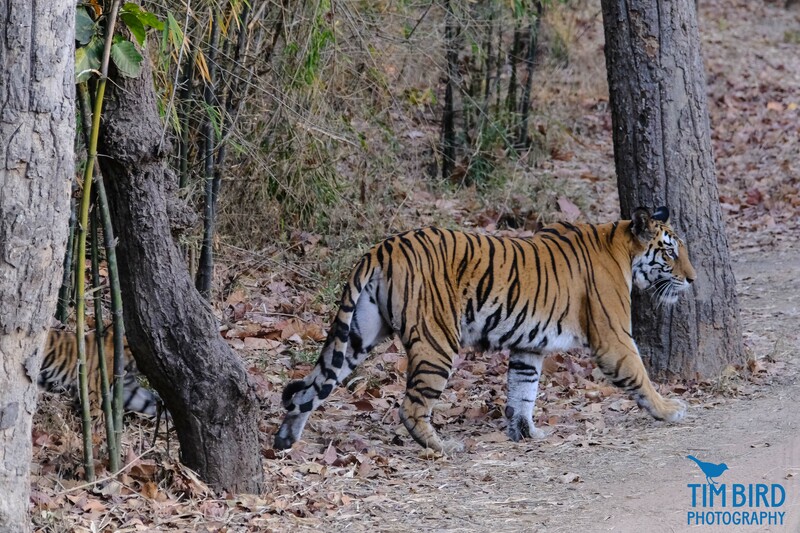 Here are a few tiger shots to whet your appetite. . If you’ve enjoyed your visit, do follow me and come back for more! Please remember, no reproduction of my photos without permission, but feel free to share the blog!